Sweet apple cider, a warm sugar-and-cinnamon-coated donut and a big bite of a juicy red apple picked right off the tree. 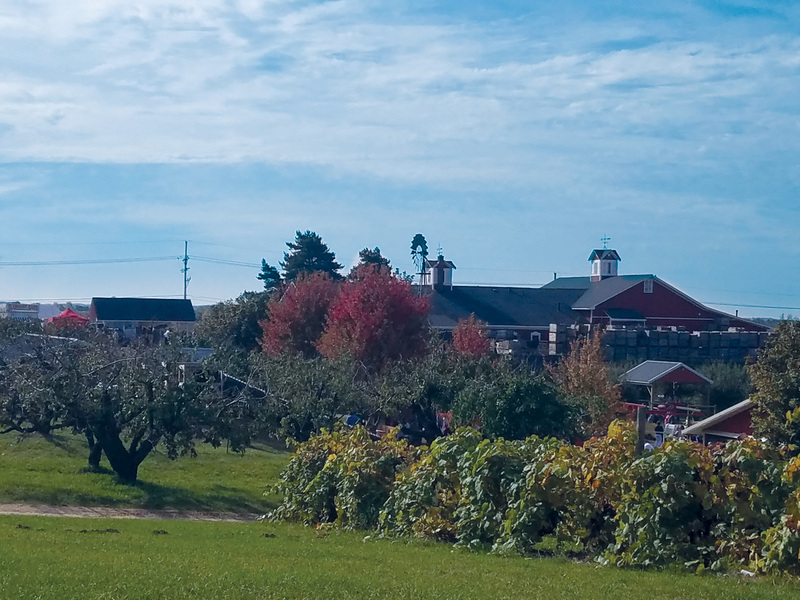 There is no better way to celebrate a crisp fall day than making a family trip to the apple orchard. And Spicer Orchards in Hartland is a popular destination for Greater Flint families. According to Will Cartwright, Manager of the juice, wine and cider-making, family is what it’s all about at the business started in 1968 by Alan and Wanda Spicer. 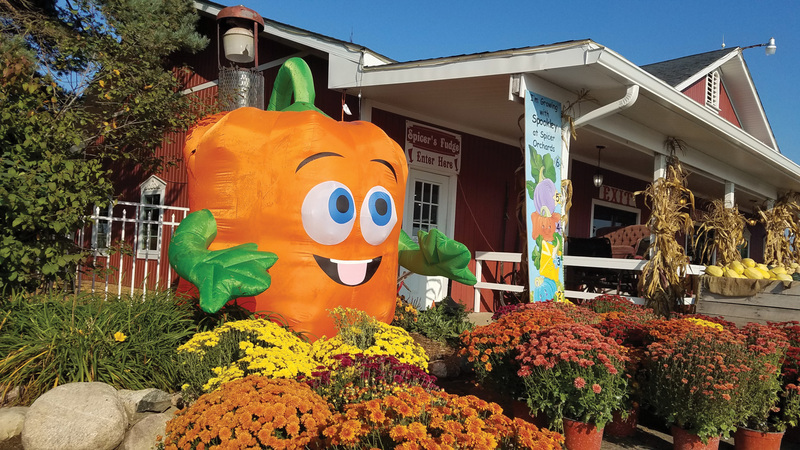 As the business continued to grow, the Spicers realized what a family event the farm was becoming for visitors, so they added some farm animals and play areas and of course, cider and donuts. The Spicers supervise the entire operation – their son Matt oversees the harvest, and daughter Shannon is the market manager. At the peak of the season, there are at least 100 employees who keep things running smoothly. Many longtime staff say they feel blessed to work there. 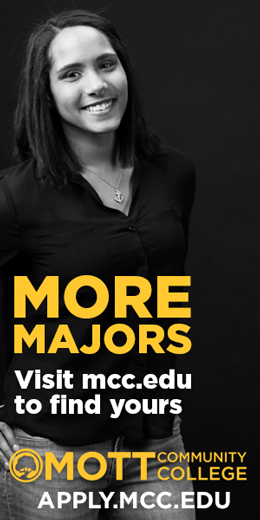 “It is very important to us that our employees are happy,” Cartwright shares. In 2008, Spicer Orchards added Spicer Winery & Lunch Café, offering a variety of dry, semi-dry and semi-sweet wines, as well as a delightful variety of hard ciders. Sweet, fruit and specialty wines are also for sale. 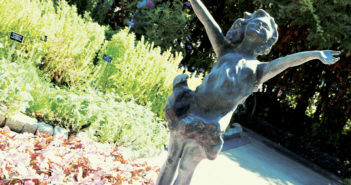 While the Orchard is only open from May until January, the winery is open year-round. “We like having the winery open during the winter months,” Cartwright shares. “Private events can be held in the wine-tasting room.” The café menu includes panini sandwiches, as well as a variety of appetizers and kids’ meals. Cartwright says the young and old alike enjoy Spicer’s Corn Maze. 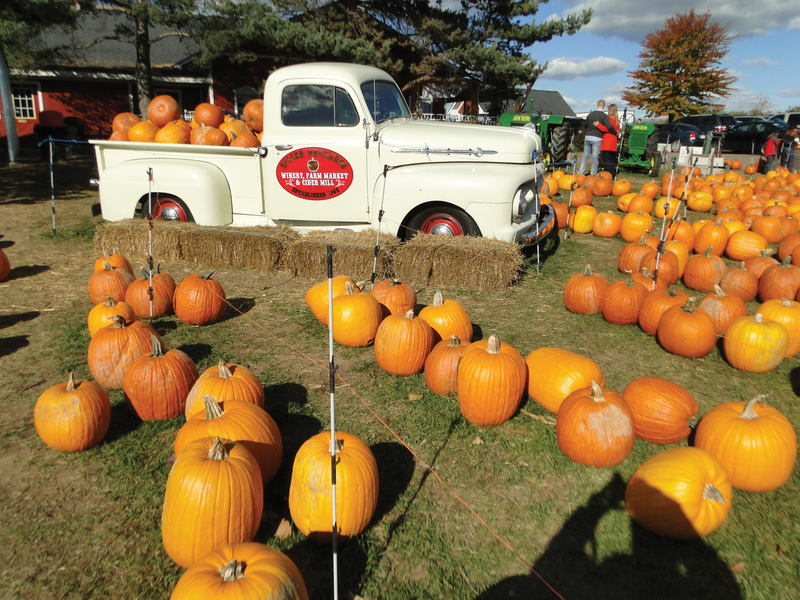 “Matt Spicer runs the Corn Maze and he works hard to make it fun and entertaining,” he comments. This year, the Corn Maze is shaped like the Statue of Liberty. There are 15 American history questions that lead to 15 American icons in the maze. “If you find all 15 icons, you get apple cider and a donut,” Cartwright says. “Families like to search together, but I think some people are more interested in the cider and donuts.” The Corn Maze is open throughout September and October, closing when it’s time to harvest the corn. 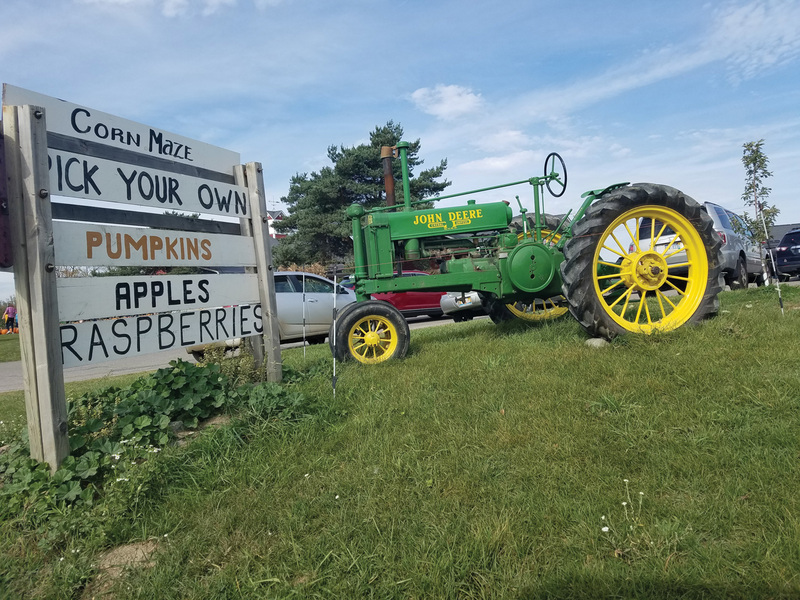 In the Farm Market, you will find sweet and delicious cider and donuts and much more: ice cream, fudge, fresh-baked pies and breads, vegetables and high-quality, Michigan-made and local products. Three big donut machines can produce 700 dozen per hour, filling the air with an irresistible aroma. The action revs up at Spicer’s on the weekends, when local artists play live Country/Americana music and visitors can enjoy food from vendors roasting corn and serving yummy BBQ from a pig roaster. Sweet treats include kettle corn, elephant ears and more. Kids can burn off their energy in a bounce-house, take a train ride or scenic hay ride, sit on a farm tractor or just hang out with the farm animals and feed the goats.